Subtitle: As Cutting Edge has been warning for over 10 years, once we slip far enough down the slope to allow government to kill at both ends of the age spectrum -- Abortion and Adult Euthanasia -- our culture will rapidly slide the rest of the way into the Abyss of Holocaust very quickly. 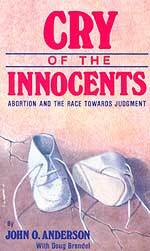 In the immediate aftermath of the 1973 Roe vs Wade Supreme Court decision legalizing Abortion Upon Demand, discerning Christian leaders began warning that, as morally terrible as Abortion is, the issue was much larger than "just" Abortion. The real issue was "Human Deathmaking"; once a state was granted authority to kill at one end of the age spectrum, that state would continue to agitate until it gained the authority to kill at the other end of the age and health spectrum. Now that American state governments have held the authority to kill babies within the womb for 32 years, killing almost 50 million people, the time seemed ripe to push for Adult Euthanasia, using much the same tactics successfully employed in Roe vs Wade -- searching for and bringing forth a legal case which would set legal precedent that state governments could kill certain adults without the specific permission of the victim. Terri Schiavo was undoubtedly that legal test case. Furthermore, since President Bush and Republican Congressional leaders "compassionately" intervened to pass a law allowing Terri's advocates to petition a Federal Court, the final set of decisions had the devastating impact of elevating that precedent to a Federal level. Now, other states can now claim the right to kill "devalued" people without their specific permission based upon the Terri Schiavo case; further, the parameters by which a victim can be killed will inevitably widen. Let us now examine a recent news story to see that this terrible "Deathmaking" has already begun! This story comes from Georgia. "In a situation recalling the recent death of Terri Schiavo in Florida, an 81-year-old widow, denied nourishment and fluids for nearly two weeks, is clinging to life in a hospice in LaGrange, Ga., while her immediate family fights desperately to save her life before she dies of starvation and dehydration. Mae Magouirk was not terminally ill, comatose nor in a 'vegetative state', when Hospice-LaGrange accepted her as a patient about two weeks ago upon the request of her granddaughter, Beth Gaddy, 36, an elementary school teacher ... upon Gaddy's request and without prior legal authority, since March 28 Hospice-LaGrange has denied Magouirk normal nourishment or fluids via a feeding tube through her nose or fluids via an IV. She has been kept sedated with morphine and ativan, a powerful tranquillizer." 2. She has been moved to a "hospice", a type of institution which is rapidly getting the reputation of the place at which the Adult Euthanasia will take place. 3. A 36-year-old granddaughter is demanding, and receiving, legal authority to order her grandmother's feeding tube removed even though the grandmother gave no prior legal permission under the circumstances in which she now finds herself. 4. Therefore, a woman not dying, not "vegetative", and not who has not given prior legal authority, is now being starved to death on grounds which would be heretofore considered very flimsy. In fact, had it not been for the repeated court actions concerning Terri Schiavo, occurring over a number of years, this hospice likely would never have been willing to kill this elderly, now devalued, woman. 5. Mae Magouirk is being kept on a powerful tranquillizer so she will seem less responsive than she would otherwise be and, therefore, less human. Now, let us go back to our featured news story, for you are about to discover that Mae's real wishes are being denied. Now, can you see that, once the door to the formerly forbidden practice is opened just a tiny crack, powerful forces come into play which kicks that door wide open! Here, Mae did have a living will, in which she agreed that she could be denied "fluids and nourishment" only under very specific circumstances, i.e., that if she became either comatose or vegetative. Since Mae is neither of those things, she should NOT be be starved and dehydrated to death! But, the hospice is doing just that, widening the parameters greatly. Furthermore, the hospice is fulfilling a function it should not be be fulfilling, for a patient is only supposed to go to a hospice if they are terminally ill. During the time of the Terri Schiavo case, one person predicted that hospice centers were going to become the official death centers -- a prediction coming true in this case. Now, as we return to this news story, we can see that Mae is dying simply and only because her granddaughter has decided she should die. "Two weeks ago, Magouirk's aorta had a dissection ... Her aortic problem was determined to be severe, and she was admitted to the intensive care unit. At the time of her admission she was lucid and had never been diagnosed with dementia. Claiming that she held Magouirk's power of attorney, Gaddy had her transferred to Hospice-LaGrange ... Once at the hospice, Gaddy stated that she did not want her grandmother fed or given water. Can you believe this nonsense? Gaddy is making a death decision on behalf of her grandmother; Gaddy's wishes are being followed, not Mae's. Yet, it is Mae who is being killed, simply on the basis of the convenience of her 36-year-old granddaughter. If you were in Mae's shoes, how would you feel if you wanted to continue living, but one of your relatives was legally able to kill you simply because she had decided you should not continue to live! Gaddy has decided that Mae is "living a life unworthy of life". Now, as we return to our WorldNetDaily article, we see that the facts do not fit this case, but that reality did not translate into action which would save Mae's life. "... Gaddy did not hold power of attorney, a fact he learned from the hospice's in-house legal counsel, Carol Todd." This statement is quite incredible, for it means that officials at the hospice were continuing to cooperate with Gaddy to kill Mae, even though their own in-house legal counsel knew that Gaddy did not possess the power to kill her grandmother. "On March 31, Todd told Ruth and Ken Mullinax during a phone conversation Georgia law stipulated that Ruth Mullinax and her brother, A.B. McLeod, were entitled to make any and all decisions for Magouirk." Immediately, Ruth ordered that the feeding tube be reinserted, and it was - temporarily. Once again, we see that the officials at the hospital and its related hospice, had failed to properly act to protect the rights of Mae Magouirk. "Todd explained that Gaddy had only a financial power of attorney, not a medical power of attorney..." Why would this hospice be so anxious to bend the law -- nay, contort the law beyond belief -- in order to facilitate the death of this poor woman? The next portion of this article shows that officials at the hospice cooperated with Gaddy in order to defeat the wishes of other family members that Mae be kept alive. And, notice that a state judge also cooperated! Therefore, we see that three sets of forces were acting cooperatively to kill Mae Magouirk: 1) Her 36-year-old granddaughter, Gaddy; 2) Officials at the hospice; 3) State judge. It does not matter what Mae Magouirk wants, nor what her other close family members want, for Gaddy has seized the momentum with help from the hospice and from a state judge. How pervasive is this frightening scenario throughout this country? Is Mae being murdered by a unique set of people and circumstance? If so, her plight will mean nothing to the encroaching Deathmaking in America. Hospices are becoming centers of death for patients who are not terminally ill, but whose life has become an inconvenience to someone. Hospice centers have developed a well-deserved reputation for being a compassionate place for a terminally ill person to die peacefully, with medical care to alleviate pain, until the moment of natural death. But, now, hospices have become places where a person is sent to die because someone else wants them dead. Once in the hospice, the victim is so heavily sedated they look as though they are comatose, while the dehydration and starvation does its evil work. A similar situation occurred in Nazi Germany, and represented the last step before the federal government began killing people it considered "living a life unworthy of life". Once Hitler assumed power in 1933, he found a significant minority of doctors and nurses killing patients, either with the patient's permission, or secretly, misapplying medical technology, i.e., giving too strong a dosage. 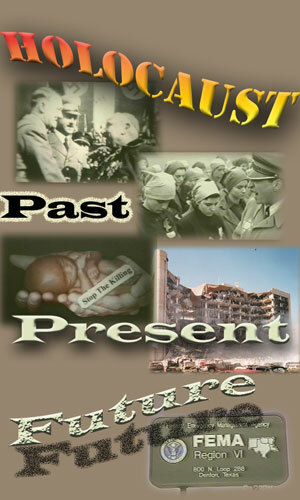 Hitler then threw the resources and authority of the Federal Government behind this ongoing policy of euthanasia. The gates to Euthanasia Upon Demand quickly swung open, consuming 18 million people over the next 7 years. Seemingly, the principle is now being set in America that decisions should be made for the person who cannot defend themselves, cannot speak for themselves, or is otherwise helpless! The states of Georgia and Florida have assumed responsibility for Deathmaking decisions over citizens who have been rendered helpless, even though they are not terminally ill and/or have not given permission for the medical establishment to put them to death. In Germany, initial human euthanasia was legally permitted only in very restricted circumstances, and only with the permission of the patient who "wanted to die". To ensure that no illegal action could be taken, a panel of professionals was set up to review each case. But, in only a few years, this door was kicked wide open, degree by degree, until Hitler could openly kill anyone he wanted for any reason. And, oh yes, the German Government changed the laws, so that a doctor who practiced human euthanasia was acting legally. Are we killing as many people as Hitler did? Remember the revelation, above, that hospice centers all across this country are acting just as the LaGrange hospice is acting toward Mae Magouirk. It is time you met Dr. Wolf Wolfensberger. is the Director, at Syracuse University, of the Division of Special Education & Rehabilitation, Leadership, & Change Agentry. Professor Wolfensberger has written a manuscript entitled, "The New Genocide of Handicapped And Afflicted People". These are powerful words of warning, which America in her deteriorating spiritual state will simply not heed. But, God is sitting in heaven, noting the deeds of Deathmaking being perpetrated in America today. The time is coming, and is hurtling upon us, where the following prophetic words will result in America's physical judgment at the hands of Almighty God. Why would officials at this Georgia hospice seemingly go out of their way to cooperate with Ms Gaddy to kill her 81-year-old grandmother? They took this action simply and only because they believed in the Nazi attitude that, when a person gets to the point when their current life status is not worthy to be continued, that person should die -- if not willingly, then at the hands of the state. But, the attitude goes more deep into our national subconscious than this. Some years ago, we preserved the testimony of an abortion doctor, as he boldly stated the REAL reason pro-abortionists were so very eager to continue the slaughter of helpless babies within the womb. Surprise! The reason had nothing whatsoever to do with concern over the health of the mother! "Even by Washington standards, the debate on partial-birth abortion has been remarkably dishonest." Before we even begin this subject, let us define partial-birth abortion, in case you have just returned to Earth from a distant planet and have never heard of this term. Partial-birth abortion is defined as that method of killing a baby which is full term and ready to be born. The abortionist allows the baby to begin down the birth canal in what should be a normal delivery of a healthy, happy baby. However, when the baby begins to "crown" [show its head] the doctor inserts a sharp instrument, like scissors, into the baby's brain and kills it! Few laymen, however, are aware that partial-birth abortion is preceded by two days of inserting up to 25 dilators at one time into the mother's cervix to stretch it open. That, in itself, could very much compromise the cervix, leaving it permanently incompetent, unable to retain a baby in future pregnancies. In fact, one on five women ... have suffered miscarriages after her partial-birth abortion. "These claims are false. The deception received enormous attention when Ron Fitzsimmons, an abortion-rights advocate, admitted that he had 'lied through his teeth' in making up facts about the number of, and rationale, for partial-birth abortion. The number of cases is many times higher -- in the multiple thousands. And the majority of cases involve healthy mothers aborting perfectly healthy babies. As a doctor at a New Jersey clinic that performs (by its own doctor's estimate) at least 1,500 partial-birth abortions a year, told The Bergen Record: 'Most are for elective, not medical, reasons; people who didn't realize or didn't care how far along they were.' "
" 'The only possible 'advantage' of partial-birth abortion, if you can call it that', Dr. Curtis Cook, a specialist in high-risk obstetrics, explains mordantly, 'is that it guarantees a dead baby at the time of delivery.' "
Then, Krauthammer quotes another leading expert on abortion, a doctor who performs many of them every year! In other words, Krauthammer is now quoting "from the horses' mouth. In other words, these medical doctors and nurses are not interested in the "health of the mother"; they just want to kill the babies. This attitude was so similar in Nazi Germany. If doctors can so cruelly kill the most innocent of humans, they can just as cruelly kill other humans! We have spoken at length, for over a decade now, about the slippery slope we are on with Adult Euthanasia, and how the Nazis systematically took Germany down the same slope that America and the Western World are traveling now. When you further understand that the goals of the New World Order Plan are to kill two-thirds of all human beings on Earth, then you get an idea of the Hitler type mentality inhabiting America today! In this debate today, traditional Christian healing methods and attitudes have radically changed to utilitarian, pragmatic philosophy which kills once a person no longer possesses a vibrant, healthy life - a life worthy of life. Healing becomes killing, and soon, in the minds of the medical people performing the Deathmaking, "Killing IS Healing". GOD'S JUDGMENT IS NOW INEVITABLE -- AND WILL NOT TARRY LONG! We believe that the Economic Babylon referred to in this passage is the United States of America (CE1038). The Deathmaking news emanating from our American culture is now so severe that God's judgment is certain -- and He will judge as terribly as He warns, above. Look again at what the Bible says about this whole "Culture of Death" we have allowed to creep into American society! 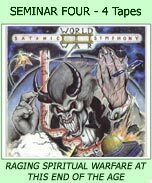 2) Romans 6:23a, "For the wages of sin is death"
God underscores the gravity of the repeated sin situation in a nation, by swearing by His Holy Name that He will utterly, completely, pluck up a rebellious sinful nation and destroy it, just as a gardener would pluck up a plant and tear it out of the ground, with the root system still intact. God must destroy America now, as I fervently believe we have crossed the line of inevitable judgment with Him, with our sorceries [witchcrafts], our murders of the innocent and helpless, and our entire litany of national sins. 4) Matthew 18:10, "Take heed that ye despise not one of these little ones; for I say unto you, That in heaven their angels do always behold the face of my Father which is in heaven."